Jim McElwain has led the Florida Gators football team to back-to-back SEC Championship Game appearances, but could he be leaving soon? The Florida Gators football team has made back-to-back SEC Championship Game appearances under head coach Jim McElwain. That puts McElwain in a class of his own as the only coach in conference history to reach the SEC Championship Game in each of his first two seasons. If recent reports hold true, then McElwain’s tenure could be ending after just two seasons in Gainesville. The timing of this report is dreadful when one considers the hand that McElwain has been dealt. He’s entering the SEC Championship Game with eight injured starters and a fan base that won’t accept excuses, no matter how rational they may be. According to Dan Wolken of USA TODAY Sports, there have been whispers that McElwain could spurn the allegedly unappreciative Gators for the Oregon Ducks if Mark Helfrich is fired. There also are whispers that Florida’s Jim McElwain could be intrigued by the opportunity to return to the Pacific Northwest, close to where he went to college and started his coaching career at Eastern Washington. Despite winning SEC East titles in his first two years, McElwain has been a bit under-appreciated by the Florida fan base and just got a new athletics director in Gainesville. 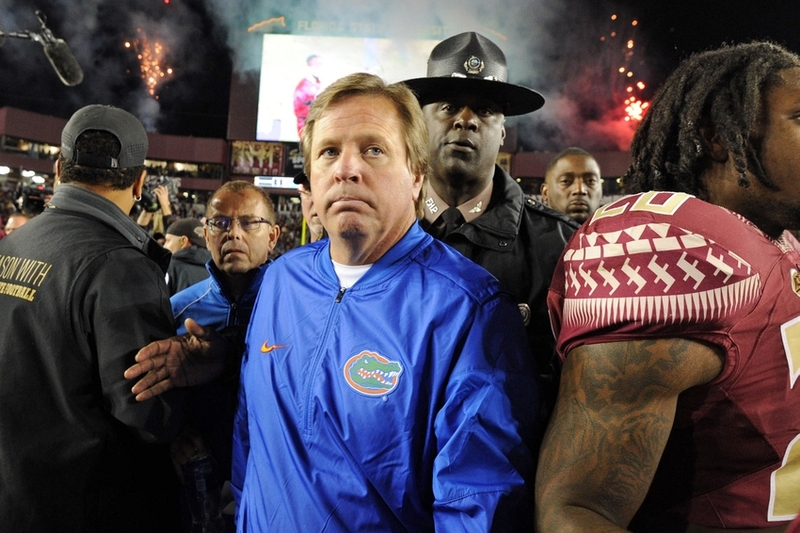 The timing of this report couldn’t have come at a worst time for the Florida football team. Leading up to the 2016 SEC Championship Game, McElwain is 18-7 overall and 13-3 in conference play with the Gators. He’s won back-to-back SEC East titles despite facing an unfathomable list of injuries in 2016. For all of the success that he’s achieved, there’s been a great sense of unrest amongst fans of the Florida football team. Pairing this report with a loss to Alabama wouldn’t bode well for McElwain’s reputation, whether fair or foul—and it’d be much closer to foul. If McElwain does feel under-appreciated, then leaving for Oregon may not be the most unlikely of outcomes. He’s familiar with the Pacific Northwest after playing quarterback at Eastern Washington. True as that all may be, it’s hard to imagine McElwain leaving Florida after the success he’s achieved. No matter what happens in the near future, one can only hope the focus in Florida’s locker room will be singular: winning the SEC Championship Game.